At our office we offer a complete range of dental procedures, that include preventative, restorative, therapeutic, and cosmetic care. We often perform crowns, bridges, inlays, onlays, root canal therapy, oral surgery, dental implants, porcelain veneers, tooth whitening, periodontal therapy, denture fabrication, and teeth alignment using ClearCorrect braces. For more information about these procedures, please see our Education section. For your comfort, we also offer nitrous oxide during treatment. Whatever your dental needs are, we can identify and administer them quickly, comfortably, and precisely. We treat patients of all ages and medical histories. We maintain state of the art technology, and are always improving our tools to expand our services. With computer aided treatment planning and digital photography you can get an immediate idea of your options. Our intra-oral cameras allow you to see in full color the condition of your teeth and gums magnified on a monitor. Digital radiography with instant imaging, and up to 90% less radiation than traditional x-rays, makes the appointment itself move much more rapidly and safely. For new patients, the first step to improving your oral health will be a comprehensive exam. On your first visit, you will be greeted by our Office Manager who will gather the necessary forms and insurance information. The doctor will review with you your medical and dental history in the privacy of the consultation room. Then the doctor will then accompany you to the treatment room and complete a comprehensive dental exam. The following will take place during this exam. A series of diagnostic x-rays will be taken as necessary to provide a detailed radiographic view of your teeth. Current x-rays from a previous dentist maybe acceptable. Additionally, a panoramic x-ray showing supporting bone and other anatomy may also be required. Oral cancer screening is part of every examination. We check the insides of your cheek, your gums, the sides, top and bottom of your tongue, the roof and back of your mouth for abnormal sores or lesions. A hard tissue exam will detect any cavities, occlusal problems or defective restorations. Periodontal examination of the gums and bone that surround your teeth will reveal if there are signs of gum disease. Periodontal probing, visual examination and other methodologies will be used to determine the level of your periodontal health. This comprehensive dental evaluation is recorded in your chart showing your existing and needed dental work. The doctor will review all findings; discuss treatment recommendations and their sequence; give you a customized written report and answer all questions to your satisfaction and understanding. We encourage you to ask questions, because your input into your treatment plan is very important. Verbal and written educational materials will be provided based on your dental needs. Cleaning of your teeth may be scheduled at your next visit based on the results from this exam. 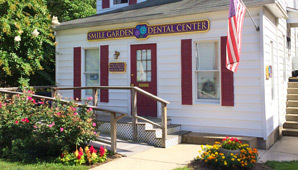 Dental cleanings are performed by our Registered Dental Hygienist. Our Office Manager will meet with you to review your treatment and financial options and our fees.